The first step is Negotiate your health bills while you’re still healthy! The others included – At the time you get a big bill; If you are suffering the results of a medical error; When you are caught between doctor and health plan; and Planning an elective procedure. No one wants to deal with a large medical bill. Even though the bill is going to be high, there is room to negotiate and reduce the total cost in most cases. The worst that can happen is that the doctor refuses to negotiate. Most will do something so always ask for a reduction. We will discuss these in more detail in future posts as well. A medical error can be really difficult. You are already suffering from some ailment which required medical treatment in the first place and now you have to deal with some mistake that was made concerning your health. We hear about the really bad ones where a patient has been operated on and something is left inside the patient, or the wrong patient was operated on or they removed something they should have not removed. Fortunately these examples are pretty uncommon and the majority of cases are not this severe! What is more common are things like incorrect prescriptions, incorrect diagnoses or no diagnoses at all. Some doctors give too many prescriptions and their patients do not know the difference or in a few cases they are thankful because they like the idea of being so many prescriptions. This is dangerous, but they are their own masters so there is not a lot you can do about these people. What we are saying in this web site is there may be an opportunity to negotiate a settlement of some kind directly with the doctor if you are the recipient of a medical error. A friend of ours was being operated on to remove a bone spur in his shoulder. This was to be a simple operation and he would have full use of his arm after the operation. Release forms were signed accordingly and he was operated on. When he woke up he found that the bone spur had been removed. But the doctor had to repair a tear in his shoulder. Which meant that he needed to keep his arm immobilized for three months and then go through physio for six months. The doctor made the right decision to make the repairs that my friend needed. However he did not have permission and did not have release forms. The doctor was very concerned and discussed it with my friend. My friend was of the opinion that he would rather have the operation completed. Instead of going back for a second operation months later. He expressed this opinion to the doctor who was greatly relieved. This situation could have turned out very badly, however both parties made the right decision and there was no litigation required. We do feel that if the patient had a trip for example booked and now could not go on the trip, he might have asked the doctor to cover this cost, however there was nothing like that to be concerned about. My friend cannot drive now for at least 5 months as his shoulder recovers. Apparently it is illegal to drive with only one arm! Not everyone needs to launch a lawsuit in cases were common sense prevails. Negotiate your health bills when it makes sense. Are you planning an elective procedure of any kind? It usually means that you are going to pay for the full cost of the procedure. Most insurance companies will not cover cosmetic surgeons or plastic surgeons charges. Unless it is due to an accident in which case the auto insurance for example may pay the fees. It is also a very emotional time for most people. You are possibly planning to make some changes to your body. Hopefully this procedure will improve your looks and how you feel about yourself. It is very difficult to negotiate anything when emotions are involved. It is just impossible to be objective about what you are discussing. Reviewing the changes a plastic surgeon is going to make or minor cosmetic surgery is about as emotional as you can get. When is a good time to negotiate and when is it not a good time? Many people ask themselves that question every day. They also sometimes take advantage of what they think is a great deal, only to find out that the surgeon is not skilled in what they do and botches the job! 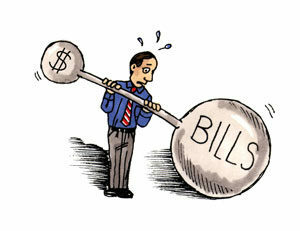 In our next post we will discuss the next area of when it is time to negotiate your health bills. At the time you get a big bill; If you are suffering the results of a medical error; When you are caught between doctor and health plan; and Planning an elective procedure. Approach the decision in a business like manner. You can sometimes make the transition from an emotional decision to one that is objective. Ask a friend or family member to go along with you to take notes and listen to what the surgeon is saying. You can review these notes afterwords to make sure that you really understand what is being proposed. Also what the risks are and what the detailed cost will be. It is unlikely that you are going to negotiate a cheaper rate with a cosmetic surgeon or plastic surgeon, however you can make a decision about what procedure is done, how much is done and what if any areas that you may wan to defer or not do at all. Discussing these options with the surgeon will give you the input to make the decision as to what should be done and how much it is going to cost. Whatever you do, if you feel uncomfortable about the situation, go somewhere else. Trust your instincts, there have been just too many bad jobs done, even on famous people who were just truing to save a buck. Getting a second opinion is not a bad thing either . If nothing else it will make you more comfortable about the work that the cosmetic or plastic surgeon is going to do and how much you will be paying for this work! We would really like to hear from readers who have had cosmetic surgery completed or have been to a plastic surgeon. Your comments will be helpful to our readers. We will approve all constructive and helpful comments and even a link back to your site for quality comments. In a previous post we wrote about the best times to negotiate your health bills. We felt that some more detail behind each suggestion was warranted. The first one was Negotiate while you’re still healthy! The others included – At the time you get a big bill; If you are suffering the results of a medical error; When you are caught between doctor and health plan; and Planning an elective procedure. Always negotiate or at least attempt to. You never know how much you will save in your health costs for whatever procedure that you are having. We will discuss these in in more detail in future posts as well. One of the reasons we are writing about this subject is that it happened to us. Fortunately it was not a large amount, however it really took a lot of time. I finally had to intervene to get the issue going. The collection process had stalled. The doctor had referred his bill to a collection agency. We were beginning to get harassing calls from a collection agency. In brief what occurred was that we visited a hospital. I had several tests and was seen by a doctor. All of the health information was provided upon check in to the emergency clinic. We were assured that there would be no billing issues. We would not need to pay any upfront charges. The clerk failed to pass this information onto the x-ay technician’s office which operates as a separate agency within the hospital. When he was not being paid, he routinely referred the collection of the payment he was due to a collection agency. It went downhill from there. The entire problem began because of a lack of communications within the hospital. They were not talking to the health insurance company who was more than willing to pay the fee. When I provided the information to the collections agency after several nasty calls, they refused to speak to the health insurance company. The health insurance company also refused to talk to the collection agency siting information privacy issues. The only way out this was for me to persuade both parties to come on the phone with me at the same time in a conference call. I introduced them to each other and verbally give them permission to exchange information and tell them to solve the problem. Once this was done the collection agency was willing to provide copies of the invoice to the health insurance company. They could verify the bill and confirm they had not already paid the invoice. I guess there is also a lot of fraud and both parties needed to make sure that there was no fraud involved and that my private information was also protected. Six months later, after we had visited the hospital, this bill finally got paid after a lot of discussion and lost time. Also the health insurance company negotiated a reduction. The collection agency took it’s share and the doctor might have been paid 30 cents on the dollar. All because the hospital administration failed to provide the correct information to the company who provides x-ray services to the hospital! By the way, the amount of the invoice was only $178! Can you believe it, all that lost time for a paltry $178! All parties lost money on this issue just due to the time that was spent on collection and clarifying the matter. In our next post we will discuss the next area of when it is time to negotiate your health bills and planning an elective procedure. Readers are encouraged to provide comments. Well written comments that are informational and helpful to our readers will be approved including links back to your own site. In our last post we wrote about the times to negotiate your health bill. We felt that some more detail behind each suggestion was warranted. The first one was Negotiate while you’re still healthy! The others included – At the time you get a big bill. If you are suffering the results of a medical error. When you are caught between doctor and health plan. Planning an elective procedure. We will discuss Negotiate your Health Bill in more detail in future posts as well. In our next post we will discuss the next area of when it is time to negotiate your health bills – If you are suffering the results of a medical error; When you are caught between doctor and health plan; and Planning an elective procedure. We learned a really good lesson when my wife needed some emergency treatment at an emergency clinic. We were pretty green in terms of experience at the time and were more concerned about the health issue and not about the costs. Most people would be in our situation and all we really cared about was whether we were covered or not for medical treatment. Well my wife was in the emergency department for 5 hours and received a number of tests over this period. She was treated very well and we felt that she really did receive expert medical care. When we left the hospital was happy since they had our insurance plan and felt that they were going to get paid with no real problems. We eventually saw the bill for the treatment that my wife received. It came to around $9500 much to our surprise. Of course we were not concerned because the insurance was covering this, although they took a really long time and I had to intervene to get them moving to resolve the bill, otherwise I was going to receive collection phone calls for bill collectors. Eventually the negotiations were completed and the final bill was negotiated down to $6300, still a large amount but much less than the original amount! The insurance company advised us to not pay the difference since this is what they had negotiated as a savings to the overall bill. In our case we really needed to see a doctor. We really had no choice. What would we have done in the situation that we had no medical insurance coverage. Well there are a couple of things to consider. Doctors like to order lots of tests to confirm their diagnoses. This is a tricky situation to consider, however if the doctor is confident maybe you can forgo the additional testing and avoid the additional costs. As you are being treated, you also need to evaluate the cost of everything that is done and whether it is optional or not. this is very tough to do when you are in pain, however if you have an advocate with you, perhaps they can evaluate things for you. Secondly, before you leave with the bill in hand, start your negotiations immediately. Find out who the right person is that you should be dealing with and talk to them. There is no sense wasting time with the billing clerk. They will not have any authority to negotiate anything so do not waste your time. If you pay the bill before you leave, then you have lost your negotiating leverage. A friend of mine received a second notice from a doctor for some treatment they received and decided to call the doctor. He explained that he had not coverage and would pay what he could as soon as he could. he wanted to know how much the doctor could reduce the bill since he would be paying cash. the bill was reduced by 50% on the spot and my friend paid the bill immediately. Bottom line , talk to the right person and negotiate. The worst that will happen is that they say no and demand the full amount. But at least you asked. Note: you must do this before it falls into the hands of the bill collectors. They have no mercy! In our last post we wrote about the times to negotiate your health bills and we felt that some more detail behind each suggestion was warranted. The first one was Negotiate while you’re still healthy! The others included – At the time you get a big bill; If you are suffering the results of a medical error; When you are caught between doctor and health plan; and Planning an elective procedure. We will discuss these in more detail in future posts as well. Many people either do not have health insurance. Or they have coverage that is limited to specified procedures, tests and the kind of drugs that will be paid for as part of your health plan. Either way you can end up with a huge bill if something requires you to receive treatment at a hospital or even in a doctor’s office. While you do not want to risk your overall health there is a fine line between some of the actions that can be taken to diagnose and treat a patient. If you are healthy and do not have any pre-existing conditions, now is the time to negotiate a health plan that will allow you to have relatively low premiums. Once you have some sort of health condition, one of two things are going to happen. Your premiums are going to go up or you will not be able to get coverage for health related issues. This latter situation can be very difficult since the bills you are going to pay will be astronomical. We have heard that if you are broke, the hospitals cannot turn you away and will provide the care you need. We have also heard that if you have some money, whether it is a house or whatever, they will make you pay and will have nothing left after you are done. This may seem extreme, however if any readers can clarify this, we would love to hear about it. Tests that are nice to have for example may be deferred or eliminated. Using brand name drugs for example can also decrease your overall costs. Choosing treatment that your insurance company covers vs. those that it does not. Do this while you are still healthy and before you head to the doctor’s office or off for more testing. As we mentioned there is a fine line to be considered. For example the difference in a brand name drug and a generic may not be that different chemically. But there can be a huge difference in price. On the other hand a test to confirm a doctors diagnoses that mean the difference between life and death or perhaps a major operation is probably something you want to have done. Discussing your situation up front with the doctor allows him to tailor his treatment around your financial needs. While at the same time allowing you to take part in the decision as well. Never place the decision entirely in the hands of the doctor or some insurance administrator. You will want to make sure that you understand the issues. Also understand the implications of proceeding or not with what ever is being considered. It used to be that the doctor was god and whatever he said was gospel. Now a days we have all learned that doctors are just like everybody else. They are trying to make a living in a very stressful environment. They make mistakes just like everyone else, they make decisions that are based on judgement. Many are dealing with huge costs which they pass on the patient or the insurer. This is why you need to Negotiate Health Bills! Doctors bills and hospital bills can be negotiated just like everything else and there are specific times when you may want to discuss the bill and negotiate a better deal. The following are a list of those times and we will discuss each in more detail. Advising the doctor that you do not have a health plan or a limited one can sometimes work in your favor. The doctor may discuss alternatives with you that he might have avoided otherwise. Tests that are nice to have for example may be deferred or eliminated. Using brand name drugs for example can also decrease your overall costs. Do this while you are still healthy and before you head to the doctor’s office or off for more testing. If you get a large bill or even a small one, it is always a good idea to review the details and understand all of the charges. If there is anything you do not understand or recall receiving ask for clarification before you pay of it. Once you pay for something there is a lot less chance you will be able to negotiate. A friend was billed $10 a day for a new toothbrush every morning while at the hospital. First of all that is an expensive toothbrush and secondly she never received a new toothbrush every day. She reused a tooth brush each day and for 5 of those days she was in a coma and could not brush her teeth. A small example that amounted to over $100 on her hospital bill. Challenge everything. This is not limited to the hospital. Challenge what your insurance will pay as well to make sure you are getting full value from your insurance coverage. Contact your health insurer if your calculations show the health plan should be covering more of the total cost, and don’t pay the bill until you’ve exhausted all your options, according to Consumer Reports. Still, it’s important to signal that you want to work toward a resolution. Unfortunately, medical errors and complications occur frequently. Should you pay for medical mistakes? Check your bill thoroughly and if some thing was given to you in error, it is time to negotiate with the hospital and your insurance company. Having your doctor go to bat for you in such cases can be a powerful negotiating tool. Your insurance company also may provide you some recourse. Again never pay for something until negotiations are complete. Billing issues are usually very complex. You may need help to understand the issues and what is being billed and may have to turn to supporting agencies in your state to get help. Bills for specialist you never saw but reviewed your charts for 5 minutes and health care workers that provide limited service are good examples. You’re in a prime negotiating position to negotiate when you’re healthy and have the luxury of time to compare costs and services for an elective procedure. If you are in control of the timing and the decision to proceed, you are in the best position to negotiate services and costs. Always request a written quotation stating fully the cost and services to be provided. Compare competing quotes carefully if you have the luxury of getting several quotations. Ideally the estimate would cover services needed up to 30 days after the procedure and specify that if any complications or errors occur, you won’t have to pay anything and corrective action will be provided.